Camping Les 12 Cols är en camping i Hauteville-Lompnes, Ain. Denna terrasscamping har platser med stängsel, med skugga, utan skugga och platser med lite skugga. Det finns möjlighet att hyra husbilar och bungalows. På campingen finns en ett sportområde. Denna inspektör gör varje år ett besök på Camping Les 12 Cols och inspekterar campingen för ca 200 faciliteter och för andra förekommande punkter. Inspektören är en medarbetare från ACSI och arbetar inte för campingen. What a superb site! We were given a very friendly welcome by the French owners, who speak good English. We were then taken around the site to choose which pitch we would like. The Facilities were spotlessly clean. This is a really peaceful site with beautiful surroundings. There is a small swimming pool on site and a larger one opposite, along with a fitness centre. There are plenty of places to walk with your dog, including a lake about a 15 minute walk from the site. Hauteville Lompnes is a lovely town within walking distance, with a supermarket just a couple of minutes drive from site. The mountains are a short drive from site, with spectacular views. Take some time driving the small back roads too. You will come across beautiful little old villages with a lot of houses displaying tubs and hanging baskets of vibrant flowers. We will definitely return to this site when we are in the area. A lovely site. Very welcoming owners who were very helpful about the area. Facilities were good. An excellent area for cycling. The town was easy to walk or cycle to. Plenty of shops and restaurants. We hope to return. Vill du boka Camping Les 12 Cols eller få mera information? Det går bra med nedanstående uppgifter. 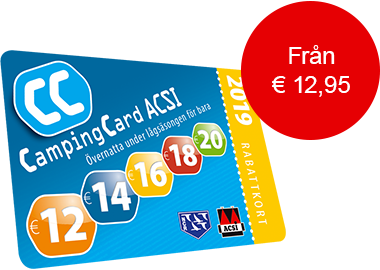 ACSI Eurocampings skickar din informationsförfrågan till "Camping Les 12 Cols".